Micro Riffle Splitters - Gilson Co.
Micro Riffle Splitters divide volumes up to 1L of fine, granular materials and powders to produce representative samples for testing. These riffle splitters are ruggedly constructed with stainless steel frames and hoppers and hardened aluminum chutes and pans. SP-171 Micro Riffle Splitter has 1/8in (3.2mm) chutes designed for materials with 1.0 to 1.5mm top size. 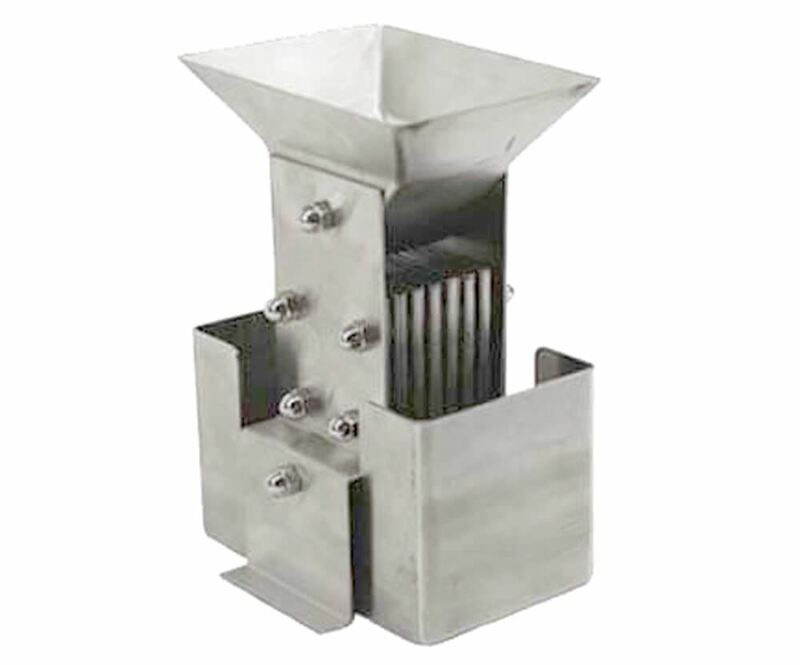 The stainless steel open feeder guides material directly past fixed-width chutes and into two sample aluminum pans. Four standard pans are included, and have an extended back to prevent spillage. SP-171X Micro Riffle Splitter is a special version of the SP-171 that features all stainless steel contact parts to avoid sample contamination, and has three included stainless steel pans.